As that party packed night approaches, these beauty essentials can help you look amazing for the last night of 2017! One of the basic items we often find ourselves needing when it comes to our beauty routine is tweezers, and for a high quality pair, we recommend that you invest in some from Rubis. Their tweezers are made of stainless steel, meaning that they’re long lasting and also rust-proof! The classic red tweezers are incredibly precise with slanted tips, and after a quick browse on the Rubis website, you’ll find a range of other tips to try out.They’re easy to handle and perfect for slipping into your evening bag for a night out. 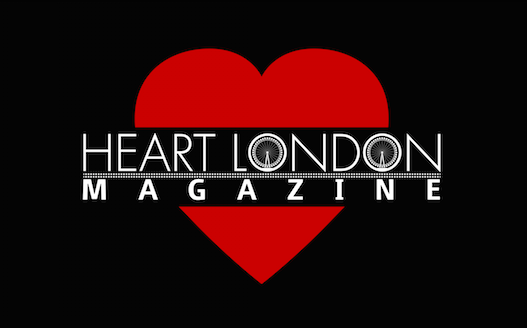 Available from Look Fantastic for £19.50. In the cold (and often wet weather), some of us end up dealing with the problem of frizzy hair more than others! 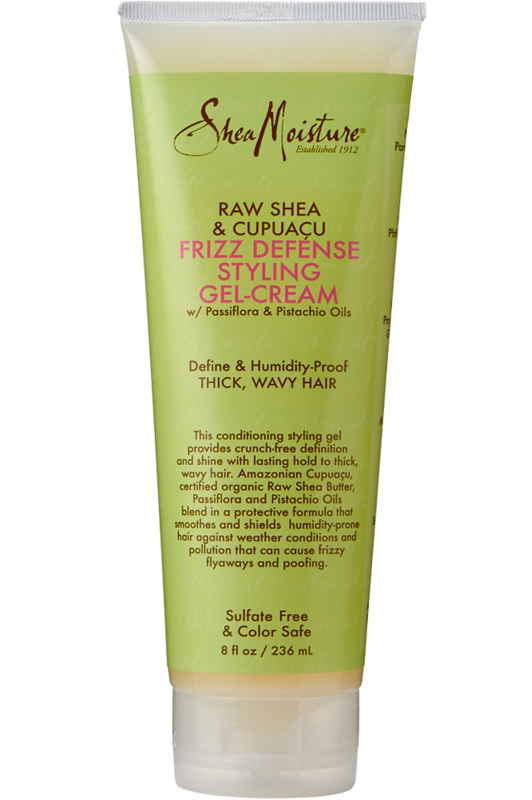 Luckily, Shea Moisture’s Frizz Defense Styling Gel-Cream exists to help you out. All you need to do is apply a small amount to wet or damp hair and work through before leaving to air dry or style as you please. If you leave to air dry you’ll be left with natural waves, except without that annoying frizz. The raw shea butter leaves your hair feeling well moisturised, while this amazonian cupuacu covers the hair cuticles to protect them from humidity. On top of that, the gel-cream contans passiflora oil to smooth your hair and leave it wonderfully soft. Have you ever got so into the music at a party or club and found you broke a sweat, then when you pop to the bathroom, you see your eyes resemble a panda, as your mascara has streaked? Invogue Semi Permanent Mascara have created a mascara that can not only be worn for days, it will cease moments like this, so you can enjoy your night knowing you mascara will stay exactly where you put it. 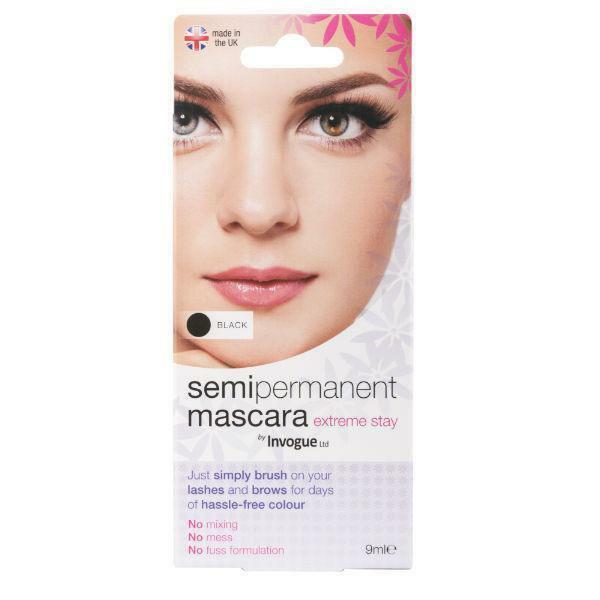 You simply apply onto your lashes for an instant effect, pretty, dark black eye lashes! Then you can remove easily when you wish with make-up-remover. This beautiful semi permanent mascara is formulated for days of wear, keeping your lashes looking pretty all day and night. Pretty eyebrows frame your face and finish a perfect look, Know Cosmetics have created a 4 in one brow fix, with brow colour at one end and invisible taming wax at the opposite end, a brush and a sharpener all in one. This perfect brow pencil allows you to take it in your beauty bag without taking up the space of 4 beauty products, so you can ensure your brows stay pretty for your party. 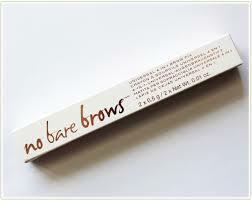 This brow product goes on evenly and does not clump, allows you to define the shape and keep your brows neat. The universal colour can be reached by using light strokes for light hairs and a little more pressure for dark brows, perfect for everyone! 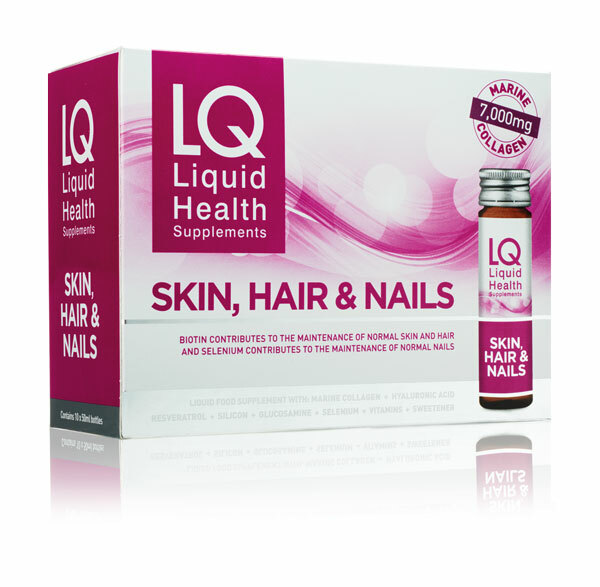 Keeping your hair and nails in great condition is no easy task, especially with the harsh winter, LQ have created Liquid Health which helps create beautiful nails and hair from within. This lovely liquid health supplement contains 7000 mg of marine collagen, resveratrol, hyaluronic acid, N-acetyl-D-glucosamine, silicon, selenium and vitamins. Drink one bottle a day to help create party perfect hair and nails. The Christmas party season can mean a lot of party hopping and a lot of late nights, which can take toll in the form of those unwanted under eye black circles. 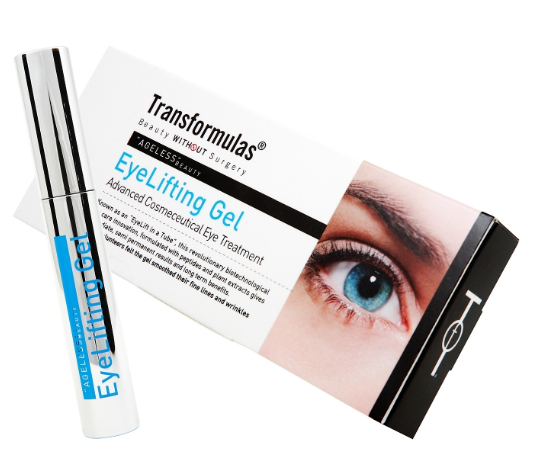 The Transformulas Eye Radiance really does conceal any sides of tiredness! I have have a 5 week old baby and since wearing this amazing product, I have been complimented on how fresh I look since having a baby! 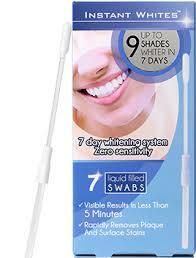 This product blends in easily to the under eye, reduces fine lines and improves firmness – a beauty must have! A beautiful smile can be tarnished with the look of yellowing teeth and as a nation Brits are renowned for not having pearly whites. However, all this has changed as you can now ensure you have beautiful teeth to match your lovely lipstick, for less than 30 pounds. Instant Whites is a huge leap forward in the teeth-whitening world and ideal for anyone who doesn’t have the time or funds to visit a dentist for professional treatments. The portable kit can be used at home or easily transported wherever you go and promises none of the tooth or gum sensitivity that can be a common and unwanted side effect of other DIY whitening treatments.